DC Water, an independent water and wastewater Authority servicing the District of Columbia and its neighboring jurisdiction, is implementing its Long Term Control Plan (LTCP) which includes reducing combined sewer overflow (CSO) discharges to the Potomac and Anacostia Rivers. The LTCP consists of construction of a system of tunnels, sewers and other structures. The Blue Plains Tunnel, the largest tunnel being constructed, conveys the CSO to the Tunnel Dewatering Pump Station (TDPS) for treatment by the new Enhanced Clarification Facility (ECF) prior to its discharge into the Potomac River. 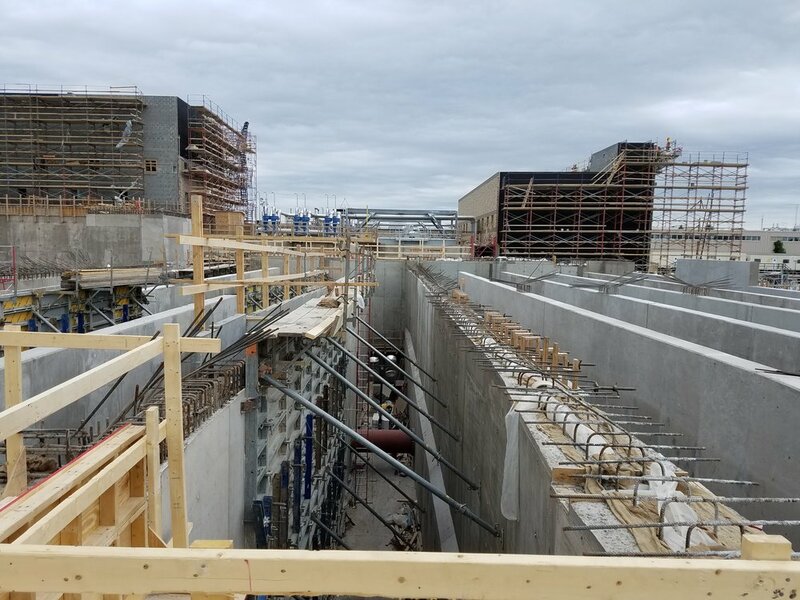 This 250 MGD capacity, with value over $200-million, TDPS/ECF project is being procured under the Design-Build delivery approach and constructed at the northwest corner of the Blue Plains Advanced Wastewater Treatment Plant in Washington, DC. The design of this facility allows for future expansion to collect and treat 500 MGD of peak wet weather CSO. The project involves the design and construction of 18 primary structures and other site utilities and auxiliary structures. Lin Associates performed the structural design and construction administration of the ECF primary structures consisting of the following. • Screening & Grit Removal Electrical Building. • Boiler & Electrical Building.